DUBAI: Renowned Indian playback singer KS Chithra’s eight-year-old daughter Nandana drowned in the swimming pool of a private villa at Emirates Hills in Dubai on Thursday morning. The body was repatriated to the Indian city of Chennai, where the singer’s family is settled, on Thursday night. Nandana, a special needs child, was found lying in the pool at 8.30am. The child was rushed to Cedars Jebel Ali International Hospital, but it was too late, sources said. Chithra landed in Dubai with her daughter and husband Vijayashankar a couple of days ago to perform at AR Rahman “Special Hits” musical show at the Sharjah Cricket Stadium on Thursday evening to celebrate the Oscar-winning Indian musician’s playback tracks. Manikandan, a Dubai resident who is close to Chithra’s family, told The Gulf Today that the tragedy happened while the singer and her family were preparing to leave their friend’s residence for the show’s rehearsal. “When they saw the front door of the house open and Nandana missing, they rushed out and found her in the swimming pool. After confirming the child’s death at the private hospital, the body was taken to Dubai Police Scientific and Forensic Lab and from there to Sonapur Health Centre for embalming. By around 6.30pm the body was moved to the airport for repatriation,” he added. The incident has plunged the entire Indian film fraternity in shock and sorrow. “It was sad news for Keralites that their beloved KS Chitra’s only little daughter Nandana died after falling into the swimming pool,” Manikandan said. Nandana, now a Grade 1 student at a Chennai school, was born to the singer who was childless for around 15 years of her marriage. 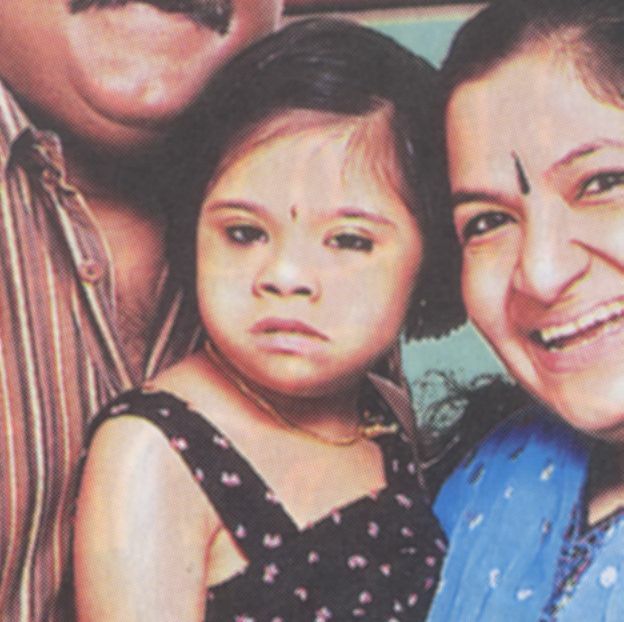 KS Chithra had told this reporter earlier on the eve of a Dubai music show that she used to take her daughter for the music shows anywhere in the world, as Nandana is a special needs child. When she came to Dubai, Chithra chose her sister’s home instead of staying with the rest of the troupe at a hotel arranged by concert organizers Media Factory. Chitra and her husband Vijayashankar, an engineer-turned-businessman, were blessed with Nandana immediately after the release of the Malayalam movie titled “Nandanam,” for which Chitra sung a hit track, and thus the couple named her so. KS Chitra has lent her voice to films in various languages and has bagged six national awards and numerous other accolades.